We all need a little TLC sometimes; don’t let your home be the only one to miss out. When it comes to cleaning our houses, we can all be guilty of letting other aspects of our lives take priority. Why not hand that responsibility over to us? One-Off Cleaning offers a one off cleaning service that will leave your home absolutely immaculate. As a team of professionals, our extended skills allow us to clean your home in East London to the highest possible standard without you having to lift a finger. Does this sound like something you and your home might benefit from? If so, call us now on 020 3397 3282 and book your one off clean! 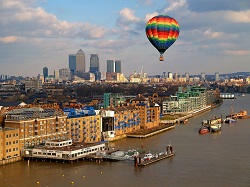 East London is possibly t he most culturally diverse area of London. It is a vibrant place with a variety of exciting bars, street art and galleries. Shoreditch, Brick Lane, Stratford and Olympic Park are just some of the areas that make up East London. Attractions within this part of London the Eating London Tour, which allows visitors to try a variety of the different foods that London has to offer. Along with these attractions, East London offers a plethora of hotels for tourists to reside in on their visit. The number of tourists in this area is exceptionally large due to the above aspects of East London as well as the easy connection to central London via train. Whether you’re expecting a baby, your tenancy in your property is about to end, you’re due to host an event or you simply can’t find the time to give your home the spring clean it deserves – one off clean is exactly what you need. In all circumstances, a fresh, clean home is the first hurdle you need to overcome. Our one off cleaning service will do exactly that, without any input of effort from yourself. We work as a team with the most up-to-date equipment and efficient cleaning methods to provide you with a deep clean that is incomparable to the speedy polish you might find a few spare minutes to do yourself. We work hard to dig into every nook and cranny, leaving no germ untouched and the result is absolutely flawless. Not only can we guarantee you a pristine home, but our eco-friendly cleaning products offer you the reassurance that our service is environmentally-friendly, as well as completely safe to your home and family members. We understand the importance of protecting the environment. Home cleaning can be done the environmentally-friendly way. If beautifully clean results, professional skill, top-of-the-range equipment and eco-friendly cleaning products are what you’re looking for in a one off cleaning company, One-Off Cleaning is exactly what you need. If you’re interested in finding out more about the service we offer, would like a quote, or would like to book your one off clean today, call 020 3397 3282 now.